The Discover the Dinosaurs is a great family event to attend when the tour comes to a town near you. Year round you can find the event in various cities across the nation. We were very fortunate that they visited the great state of Pennsylvania and took the kids for a fun-filled day of dinosaur activities. Recently they came to York Pennsylvania and the entire family had a great time. If you have never attended the event before, let me tell you a little bit about this fun educational experience. There are up to 40 museum quality dinosaurs on display and many of them will move and make sounds. These are unique hands-on exhibits that allow you to get up close & personal with a pre-historic beast. There are activities for every age group to enjoy. All exhibits and activities are held indoors. 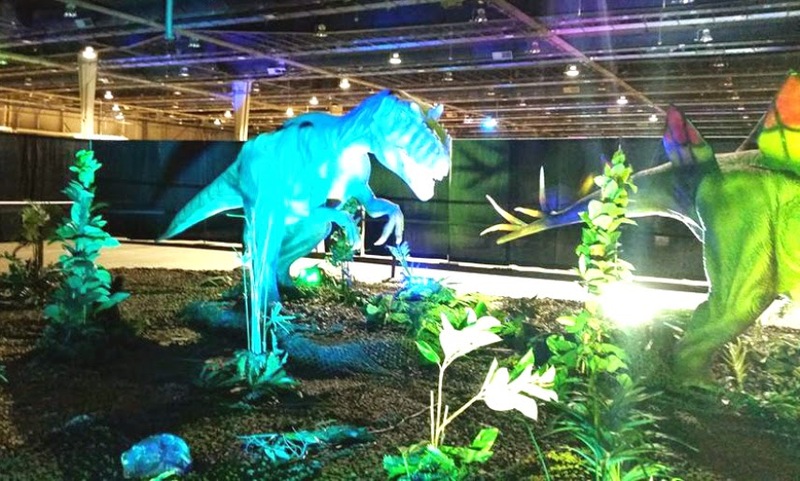 There is a dino theater, dino dig, mini golf, inflatables to have fun on, scavenger hunts, a coloring station, a dino maze, gem & fossil panning and so much more!!! You really need to plan to spend at least 2 hours enjoying all of the exhibits and activities that they have to offer. 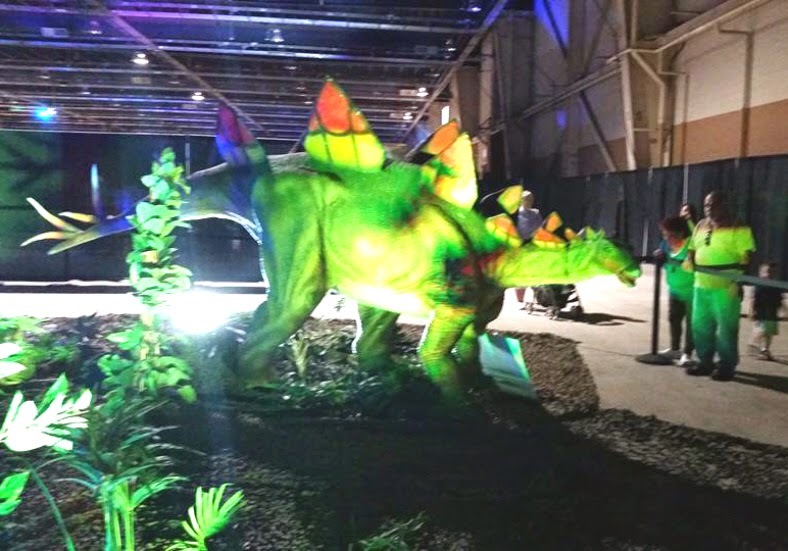 You can visit the Discover the Dinosaurs online to see their schedule of events, activities and you can purchase your tickets online (saves time) or at the door. You can join them on Facebook to stay up-to-date on tour dates and current activities. We had a great time and will be visiting again when they return to our area here in south central Pennsylvania. What a great way to spend time with the family and to learn something in the process. We highly recommend it.